HOY ME HA DADO UN ESCALOFRÍO CUANDO ESTABA ESCUCHANDO EL HOY Y POR HOY Y DE PRONTO SUENA LA SINTONÍA DE HORA 25 ENTONCES VENIA LO PEOR CARLOS LLAMAS HABÍA MUERTO . 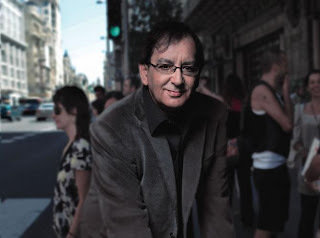 QUE VOY HA CONTAR DE CARLOS LLAMAS PARA MI HA SIDO UN GENIO UN MAESTRO GRACIAS A EL LA RADIO SE HACIA MAS PRÓXIMA HOY NOS HEMOS QUEDADO MAS HUERFANOS . PESE PENSÁBAMOS QUE CUANDO VOLVISTEIS EL 7 DE MAYO ESTA TODO SUPERADO TE HA PODIDO EL MALDITO CANCER . DESCANSA EN PAZ CARLOS LLAMAS . DESDE AQUÍ QUIERO RENDIRLE UN PEQUEÑO HOMENAJE Y VOY A DEJAR UNA DE LAS CANCIONES QUE LE GUSTABA A CARLOS LLAMAS CONTIGO DE JOAQUÍN SABINA .